As offshore wind begins to take a foothold and have a measurable impact on electricity markets, Windpower Monthly looks at the major players in the industry today, and their plans for growth in new and existing markets up to the mid-2020s. The total figures are calculated as net totals — the shares these developers have, or had, in projects during development. Capacity developed and then sold to a third party is counted, but capacity acquired by these developers after commissioning is excluded. All data is supplied by Windpower Intelligence, the research and data division of Windpower Monthly. Data is correct as of 1 March. Pipeline projects include those that are under construction, have consents in place or have started the permitting process with a predicted online date of 2025 or earlier. Ørsted is the largest offshore wind developer to date and will remain so in the short to medium term. Since the mid-1990s, Ørsted — then Dong Energy — has developed more than 5GW of net operating capacity, according to Windpower Intelligence. Ørsted has amassed such a large portfolio that even it was to add no further generating capacity until after 2025, only one developer, Vattenfall, would surpass it for net developed capacity, according to our current figures. In seven years as CEO, Henrik Poulsen (right), 52, has transformed the utility, divesting its fossil-fuel generation business and opting to focus on green power, particularly in offshore wind. This focus and investment has lead Ørsted to build up a pipeline of more than 11GW of offshore wind capacity across the world in Europe, the US and Taiwan. By 2025, the Danish firm could have up to 16GW operating. However, it is more likely to be around the 10-12GW mark of net capacity if it continues with its strategy of selling up to 50% of the capacity upon the final investment decisions, seen most recently in the US, where Ørsted sold half shares of the 704MW Revolution Wind and 130MW South Fork projects to New England utility Eversource. Over 99% of Ørsted’s net operating capacity is in Europe. But this is set to change, with the growth of the US and Taiwanese sectors, which are set to see rapid capacity growth by 2025. Meanwhile, the Danish firm has also identified Poland, India, Japan and South Korea as "next horizon markets" in offshore wind. The firm recently signed a memorandum of understanding with Tokyo Electric Power Company to investigate possible sites off Japan. While Ørsted could be seen as the leader in offshore wind, the rest of the field is catching up, and now often beating the group to offshore wind projects. 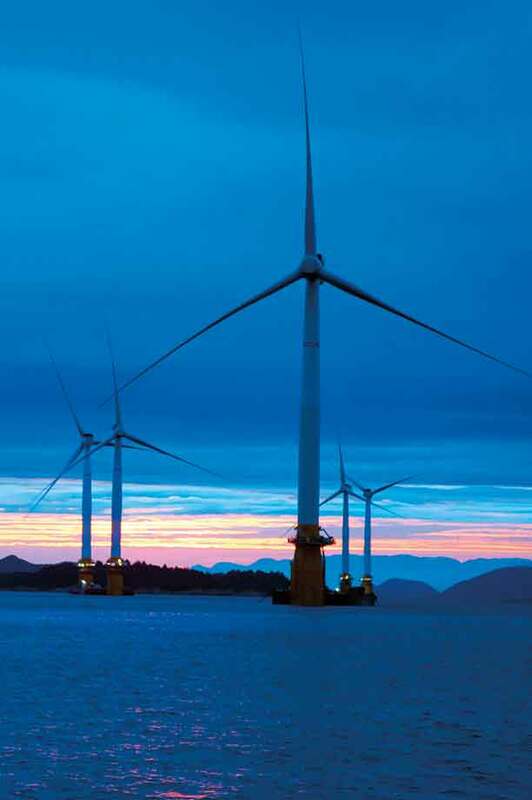 Ørsted has yet to win any leases in the US, and only acquired sites through its purchase of Deepwater Wind. It lost out to Iberdrola subsidiary Avangrid, Equinor and a Shell-backed consortium in recent tenders for lease areas. Ørsted is also turning its attention back to onshore, with the acquisition of Lincoln Clean Energy in the US, and has expressed an interest developing solar and storage applications. This means offshore wind will have to compete further for funding — although the firm has said that around 85% of its investments to 2020 will be made in the sector, suggesting, for the time being at least, Ørsted will continue to be the pacesetter in offshore wind. Vattenfall has been taking an increasing role in offshore wind. The Swedish part-state-owned utility has a diverse energy-generation portfolio, and wind only forms a small part of its overall business. While it was an early adopter of offshore wind — playing a part in Denmark’s Horns Rev 1 project in 2002 — it has not looked to take on scale. It currently has only three operating offshore-wind projects above 150MW in its portfolio. The picture will change over the next few years, starting with the 407MW Horns Rev 3 project in Denmark, which is very near completion. Vattenfall also has the Danish 605MW Kriegers Flak and the Dutch subsidy-free 700MW Hollandse Kust Zuid I & II due online in the short term. It is also developing the 350MW Vesterhav nearshore projects in Denmark. These have not been included in Vattenfall’s total, as they are still subject to regulatory approvals, but the company continues to work towards a 2020 completion. This, combined with a healthy longer-term pipeline, means Vattenfall is in line to have just shy of 6GW net operating capacity by 2025. Much of the medium-term capacity will still need to be selected during competitive processes around Europe — in Germany, the UK, the Netherlands and Denmark. However, Vattenfall is fast gaining a reputation for aggressive bidding, having won the Horns Rev 3, Kriegers Flak and Vesterhav projects with, at the time, unexpectedly low bids. The developer also recently announced plans to bid in the Hollandse Kust Zuid III & IV zero-subsidy auction, following its success in the first Hollandse Kust Zuid I & II tender in March 2018. Unlike Ørsted, Iberdrola and Equinor, Vattenfall is yet to look much beyond the northern Europe comfort zone. While this is fine in the short and medium term, the areas with good wind resource and seabed conditions are bound to become scarcer. 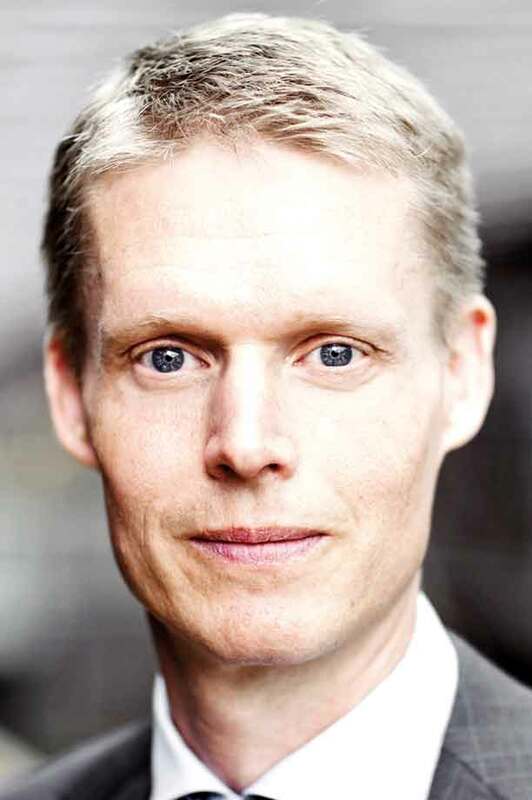 Many of its direct rivals have capacity consents, particularly in the US and Taiwan, but Vattenfall does not appear to be looking in these areas yet. To offset this, the group is a leader in deploying new technology, which will allow it to access more sites at competitive prices. Evidence of this resides at Vattenfall’s recently completed European Offshore Wind Development Centre in Aberdeen Bay, off Scotland. This site is home to the largest operating wind turbines to-date – two 8.8MW V164 machines from MHI Vestas. 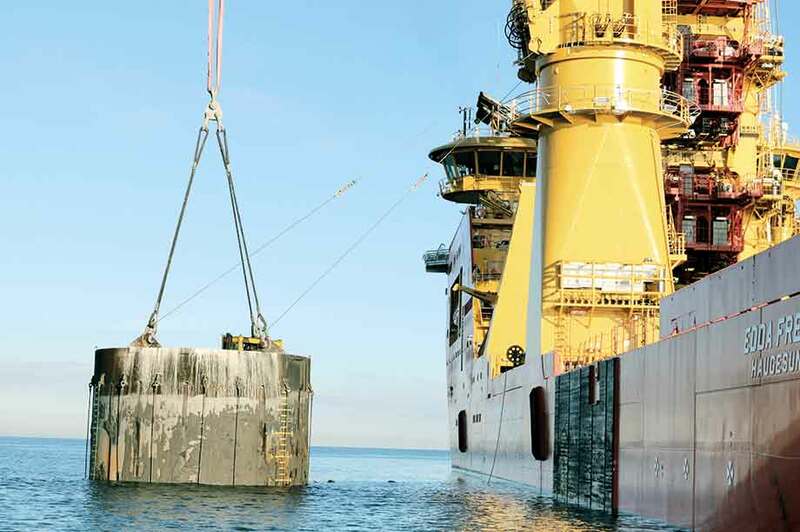 It also uses three-legged jacket foundations with suction buckets (left) at the base to secure it to the seabed, and is an early adopter of 66kV cabling, which seems destined to become the offshore wind industry standard in the near future. On top of the very visible hardware on show at the site, Vattenfall has partnered with the UK’s offshore innovation and research centre ORE Catapult to offer the opportunities for new technologies to be tested in "real-world operating conditions". The Spanish utility was once the largest wind-power developer in the world, but was late to enter the offshore sector. It dipped its toe in the waters off the UK, where its ScottishPower Renewables subsidiary jointly developed the 389MW West of Duddon Sands site in the Irish Sea in 2014 with Ørsted. Since then, it has stepped out on its own, recently completing the 350MW Wikinger site in Germany (right), using lesser-spotted Adwen turbines. It remains Iberdrola’s only solely owned operating capacity to date. However, Iberdrola has big plans in the short and medium term. In the next few years, we predict it will have roughly 4GW of net offshore-wind capacity generating across Europe and the US. ScottishPower Renewables is currently installing the 714MW East Anglia One site in the North Sea. It is also expected to develop the neighbouring East Anglia Three site, but this is subject to success at one of the UK’s biennial support auctions. Iberdrola was successful in the German offshore wind tenders, with the Baltic Eagle site set for completion in 2023. The site could feature the new MHI Vestas V174 9.5MW offshore wind turbines. The company is attempting to generate success in the sluggish French market, as part of the consortium developing the St Brieuc project. But it is suffering repeated delays in permitting, which has mired all of the proposed projects there. Much of Iberdrola’s offshore pipeline lies off the US east coast. The American market is picking up steam following a series of competitive lease tenders and request for proposals from utilities, in which Iberdrola’s US arm, Avangrid, has been successful. The 400MW Vineyard Wind site off Massachusetts — in which Avangrid holds 50% with Copenhagen Infrastructure Partners — is on course to be the US’s first utility-scale offshore wind project. The project partners have also submitted its 400-1,200MW Liberty Wind site in to the New York request for proposals, the results of which should be known in the first half of this year. The developer’s pipeline is so crammed, it pulled out of a partnership with RES that had planned to bid in the ongoing 750MW Dunkirk offshore-wind project in France. The German utility was an early mover in offshore wind, developing the 60MW North Hoyle project off the coast of north Wales in the UK, which was commissioned in 2004. Progress was slow after that venture — a five-year wait before the nearby 90MW Rhyl Flats project started generating electricity — but has since picked up pace. Innogy’s offshore portfolio now stands at 1,763MW, spread over full or part shares in nine projects, seven in UK waters and two off the Danish coast. Commissioned in 2015, the 576MW Gwynt y Mor project (left) remains the company’s flagship offshore-wind development. But bigger schemes are in the pipeline, although Innogy is sticking strictly to northern Europe for its future. 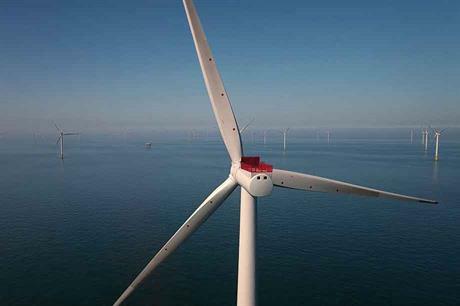 Most advanced is the 860MW Triton Knoll project off the UK’s east coast, scheduled for commissioning in 2021-22 and to be equipped with MHI Vestas V164-9.5MW turbines. Innogy now has a 59% stake in Triton Knoll, with Japanese utilities J-Power (25%) and Kansai Electric Power (16%) coming on board to drive the final investment decision in August 2018. The 1.2GW Sofia project in the UK’s North Sea, one of four Dogger Bank developments awarded consent in 2015, is Innogy’s most ambitious near-term venture. Sofia is now waiting on a successful outcome in the next contracts for difference auction in late May, and a final investment decision. 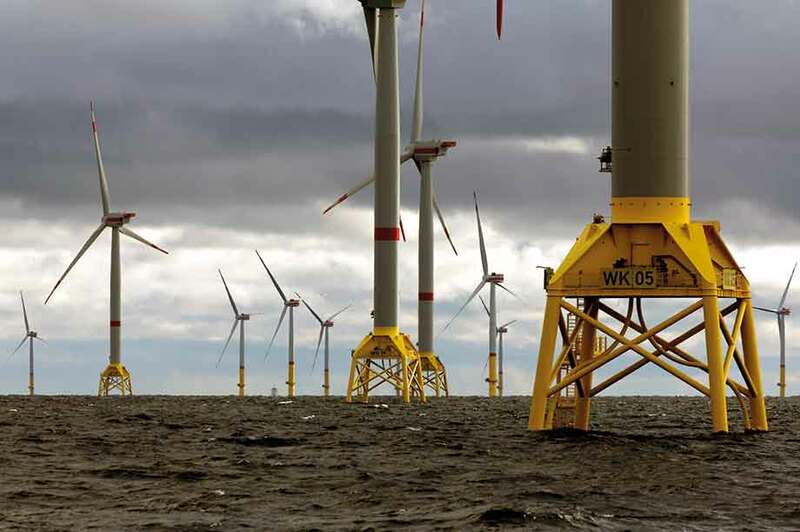 Innogy expects to make a final investment decision on the 325MW Kaskai project, its first in German waters, in spring 2020. It has also formed a joint venture with Irish developer Saorgus Energy to develop the 600MW Dublin Array project, although this still has a number of permitting and finance hurdles to clear. The largely state-owned Norwegian utility is described in more detail elsewhere in this issue. 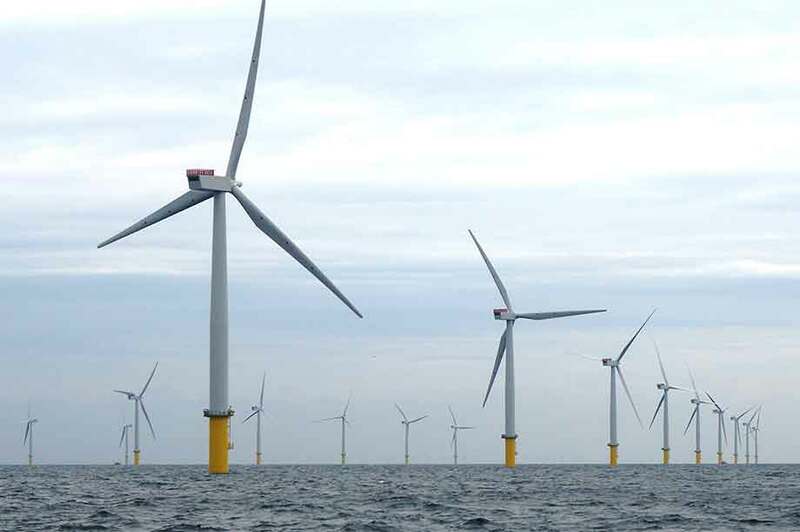 Its operating offshore portfolio amounts to a modest 584.3MW, distributed among five projects, including Hywind Scotland, the 30MW pioneer of floating wind (right). Equinor holds a 50% share in three large European projects — Sheringham Shoal (317MW) and Dudgeon (402MW) in the UK, plus Arkona (385MW) in Germany (right). A continued focus on UK development is apparent in the pipeline, with Equinor holding half the shares in two sizeable Dogger Bank projects — Creyke Beck (2.4GW) and Teesside (1.2GW). Both have been consented. Equinor is also looking to the fledgling US market, and is now working on the permitting process for the Boardwalk Wind and Empire projects, both of 750MW capacity. It also holds a half share of the 600MW Baltyk Srodkowy III development in Poland.